August 25 saw the conclusion of The International 2018, a global Dota 2 tournament organized by the game’s developer, Valve Corp. The eighth in the series, it is most notable for breaking the record set by the previous year’s event as having the highest prize pool in esports history. Its 18 finalist teams will be splitting a total pool of over $25.5 million (Php1.4 billion). It underscores the rapid development of esports as an institution rivaling traditional sports competitions, as well as the evolution of gaming from a hobby to a competitive sport. According to business magazine Forbes, global esports revenues reached $655 million (Php34.9 billion) in 2017, and that figure is projected to hit over $900 million in 2018. “Gaming is not a game anymore. 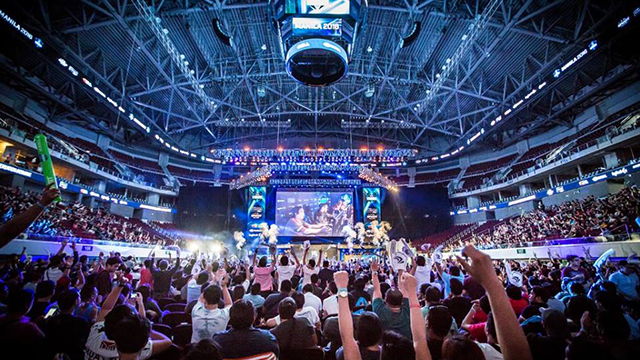 It’s starting to transition to be a real profession, and it’s really getting serious,” said Ronald Robins, the founder and CEO of cybercafé and esports firm Mineski, in his speech at the Inspire PH Summit hosted by virtual stock market platform Investagrams last April. One of his company’s professional teams, also called Mineski, was one of the participants in The International 2018 that will receive a cut of that record-breaking prize pool, earning over $381,000 (Php20.3 million) for placing in the 9th-12th bracket. Robins was speaking from experience. Before he founded what would become the largest cybercafé chain in the Philippines, the Cebu-born Robins was a professional Dota 2 player who competed in international competitions while he was studying in De La Salle University (DLSU). This led him and his team to Singapore, Malaysia and Thailand, where they represented the company in international Dota 2 competitions. But while his team dominated local tournaments, they found that they were no match against teams from other countries. That inspired him to stop playing professionally and focus on his business. With the goal of improving the country’s esports ecosystem, Robins decided to expand Mineski into three units: the Mineski Infinity chain of cybercafés, the Mineski Pro Teams and the Mineski Events Team. When Robins and his friends opened the first Mineski Infinity branch in 2008 in the DLSU area, he immediately received requests to open other branches in other locations. To keep up with the demand, the team started enlisting the help of Francorp, a global franchising consultancy, to create a franchise model for the cybercafé. And proceed to expand they did, as Robins and his team now run 140 Mineski Infinity branches, 40 percent of which are franchised. Robins also revealed that 100 of those branches were opened between 2015 and 2017, underscoring the growing demand for high-speed internet cafés around the country. As well, Robins began tapping international markets with his cybercafé chain, inspired by his Malaysian business partner who entered the company in 2009. The first international Mineski Infinity branch opened in Malaysia in 2013, and today there are 26 branches in Malaysia, Thailand and Indonesia. This growth is also reflected in their financials, as Mineski Franchise Corp., which handles the company’s franchising business, already hit Php27.4 million in 2015, the latest data available in the Securities and Exchange Commission (SEC). Two other companies under the brand, Mineski International Inc. and Mineski Grounds Inc., had a combined revenue of Php7.7 million in the same year. The brand’s rapid expansion has translated to the growing footprint of the Philippines in the global esports scene, thanks in large parts to Mineski’s own professional teams. Robins handles three teams under the Mineski Pro Teams unit, each specializing in one of three games. The first is a Southeast Asian Dota 2 team led by a half-Filipino captain, the second a League of Legends (LoL) team composed of four Filipinos and two South Koreans, and the third a Counter-Strike: Global Offensive (CS:GO) team with four Filipino players. 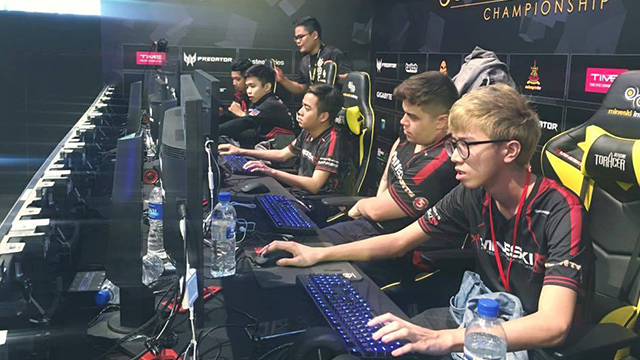 Robins revealed that while the players under Mineski Pro Teams receive a monthly salary much like most other regular professions, a bulk of their earnings come from the various cash prizes they win from competing in local and international tournaments. As well, the teams have secured big-name sponsors such as Southeast Asian airline AirAsia for Mineski’s Dota 2 team and local telco Smart Communications for the LoL team. 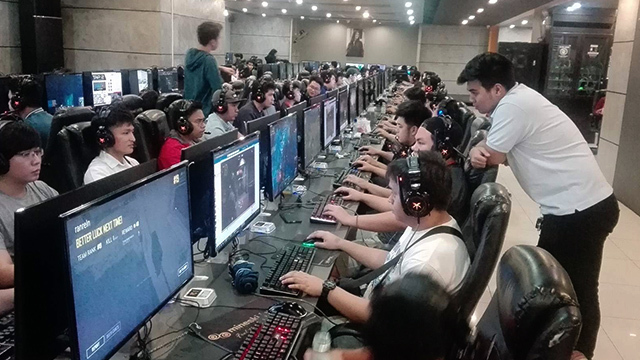 While Mineski’s professional teams are continuing to make their marks abroad, the Mineski Events Team (MET) has put in a lot of effort in popularizing esports within the country and across the region. Starting out as the marketing team of Mineski Infinity, MET is now best known as the organizer of several major esports events in Southeast Asia such as the Mineski Pro Gaming League and the PVP Esports Championship. “I’m very proud to say that they’re running world-class events in six countries in Southeast Asia,” said Robins. “Pinoy ang nagpapatakbo ng mga pinapanood niyo sa Twitch (Filipinos are the ones behind the events you watch on Twitch).” Twitch is an online livestreaming website focused primarily on video games and esports tournaments. MET was also responsible for bringing international tournaments to the Philippines, partnering with the Electronic Sports League (ESL) in hosting ESL One in Manila last 2016. Robins shared that they were able to pack the venue with 10,000 paying attendees, and that MET was able to sell VIP tickets in three hours. “When Coach Chot Reyes (of the Philippine Basketball Association) visited the event, he was like… talo mo pa yung PBA ah (you even beat the PBA),” he added when talking about ESL One’s success. 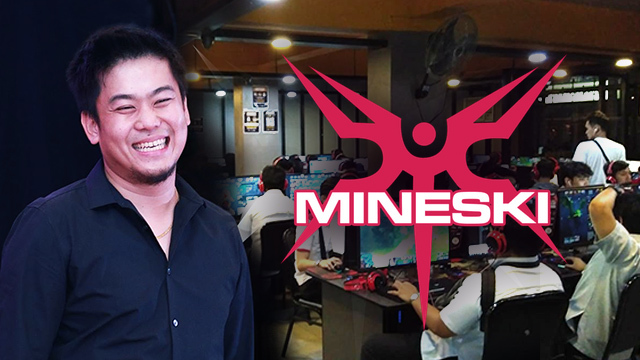 While the Mineski team currently enjoys the effects of the industry’s rapid development in the country, Robins does not forget how it started and what drove him to pursue becoming an esports entrepreneur. 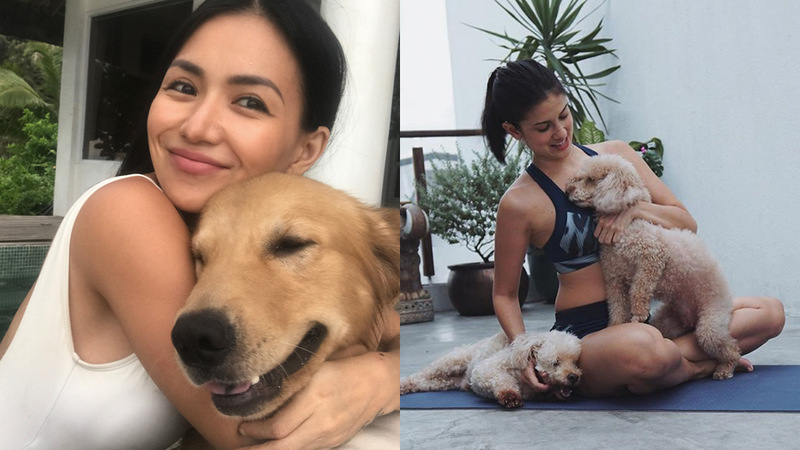 And with esports slowly but surely becoming recognized as an official sport and the Philippines having a presence in the professional gaming space, Robins is seeing his 10-year effort of uplifting the industry come to fruition.